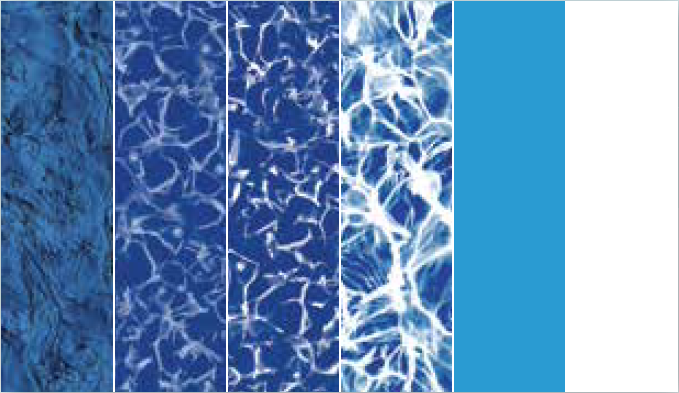 For over three decades Pegasus Products has been manufacturing the highest quality swimming pool liners available. We are a family run business that prides itself on quality manufacturing, products, and exceptional customer service. 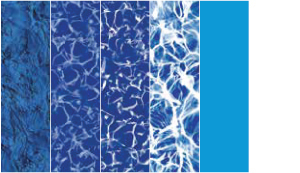 We carry an extensive line of patterns for both in ground and above ground pools. The proof is in the pudding, or in this case, the plastic. The material we use is made from virgin vinyl, flexible Poly-Vinyl Chloride (PVC) sheeting containing various additives, i.e. inhibitors for mildew, mold and algae. These additives improve the life and quality of the vinyl by increasing its resistance to chemical/detergents, brittleness, and punctures. The material combines high strength with durability and low temperature flexibility. Keeping our standards high has helped us create a loyal national customer base. All of our liner oversteps are manufactured with a 27mil PVC material to provide a non-slip step that is both durable and most importantly, safe. Every liner has a safety packet containing four APSP publications, five “NO DIVING” labels and a liner care and warranty booklet. It is mandatory to affix the supplied “NO DIVING” labels to the liner as shown in the liner care and warranty booklet. WE DO NOT RECOMMEND DIVING IN ANY SWIMMING POOL. Diving can result in serious, permanent injuries or death, even if the pool or liner is designed to meet APSP diving standards.